Long after the age of dinosaurs was the rise of the great mammals of the Ice Age. 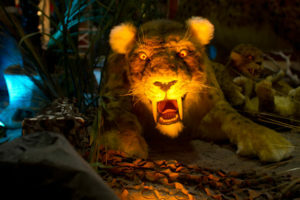 This exhibit features lifelike Ice Age creatures presented in realistic natural habitats. Walk through a snow cave and journey back to the frozen landscape where mighty mammoths and fierce saber-toothed cats ruled the land! Find ticketing prices and more information about this event here.